– Naked Vine Wine Pairing Rule #1. I have a slightly more difficult time pairing wines in summer. I’m not a huge fan of massive, tannic wines when it’s hot, and I don’t have a lot of patience for watery pinot grigio. I drink a lot of rosé, as we’ve long established, and I do like to have options. At times like this, I turn my sights to places where folks have dealt with blistering summers for centuries – the Mediterranean. Thanks to the good folks at Bourgeois Family Selections, the wine fairy delivered an array of interesting, affordable Mediterranean yumminess for our consumption here at Vine HQ. wine collective in the province of Toledo in Spain. 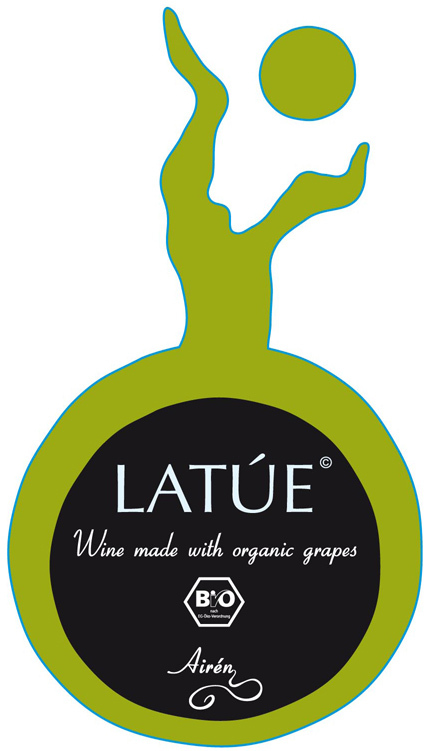 Their wines are all certified organic – by both Spanish and American standards. 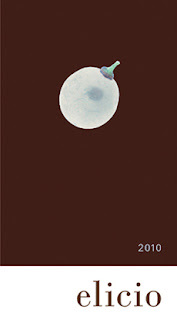 Their white is made from the Airén grape, which is one of the more common Spanish white grapes. Airen once represented almost 30% of all grapes grown in Spain, but because of its lower yields, some wineries are replacing it with higher-yield grapes. The wine has a pale straw color that yields a peach blossomy nose. I braced myself ready for an acid ball on pouring. It certainly is acidic, but there’s a generous amount of peach flavor to go alongside. After the wine gets some air, the finish goes from a somewhat bitter lemon-rind flavor to a softer citrus like an almost-ripe nectarine. I thought it would go well with fish tacos and southwestern rice, and I was certainly not disappointed. $10. 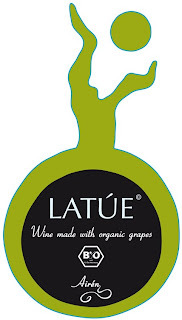 Bodegas Latúe 2012 Tempranillo – Latúe also makes a Tempranillo in a similarly organic fashion. This one has a fairly fragrant nose of cherries and cranberries. The body is on the lighter side, but there’s enough tannin to make it feel substantial, which is a real plus as a summer wine. I thought there was a nice balance of fruit and tannin, even if it is, as a whole, a bit lean. The finish is where the tannins really make an appearance, drying out the palate or standing ready to cut through the fat of a steak. Despite the relatively light body, it worked nicely with a thick grilled, marinated flank steak. I’d snag it again, especially at $10. Domaine de Ballade 2012 Cotes de Gascogne – This wine is very refreshing blend of 70% Sauvignon Blanc and 30% Columbard from the region of Gascony in southwest France. All in all, I’ve discovered that Gascony really produces some of the most consistently refreshing summer wines. This bottle is no exception. The nose is full of lemon and wet stones. The medium-light body holds a grapefruity blend of mineral and acidity that finishes with a nice snap. A super wine for a warm day on the porch, at a picnic, or at the beach. It also turned out to be a really nice pairing choice for seafood. We had this with seared scallops with a grapefruit, fennel, and cucumber salad. Harmonious. Around $11-12. Clos Teddi 2011 Patrimonio Vermentinu – I admit to my surprise when I saw this wine was French. I’d always associated the Vermentino grape with Italy, specifically with Sardinia, where it makes a crisp, flavorful white wine. In France, the grape is known as “Vermentinu” and – like in Italy – is primarily grown on an island. This time, the island is Corsica. 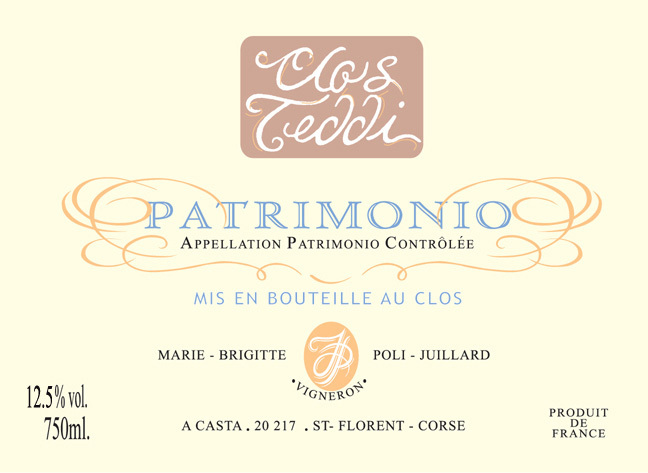 Patrimonio, which I initially thought was a nod to the grape’s Italian ancestry, turns out to eb the Corsican wine region. The site of the winery was a Greek settlement in 800 BC. The winery itself is named for Thethis, one of the Greek goddesses of the sea and mother of Achilles. How about the wine? Really nice. Smooth and minerally. The nose is another good demonstration of “wet stone,” mirrored in the mineral on the palate. There are rich apple and orange flavors on the body, with a nice pepperiness throughout. Simply put, this is a just a very tasty wine. It’s a bit more expensive at around $27, but if you’re looking for a nice bottle to share among friends, it’s a solid call. Elicio 2011 Cotes du Ventoux Blanc – Some nights, I land on an unexpectedly strong wine match. On a hot, June evening, we needed something refreshing on its own that could still go with some herb-broiled trout and fresh green beans in a honey mustard vinaigrette dressing with almonds. That’s a challenging pairing with loads of flavors shooting off in different directions. I needed something somewhat substantial so it wouldn’t get trampled and still added something to the meal. This $12 bottle rose to the occasion. It’s a pleasant sipper, also 100% Vermentino, full of flavors of papaya and citrus with a load of minerals. The finish is fruity and crisp and overall – it’s quite tasty. Alongside the dinner, it was balanced and inoffensive. Honestly, that’s exactly what I wanted. I’d pick this up again.